Yes, it really happened. 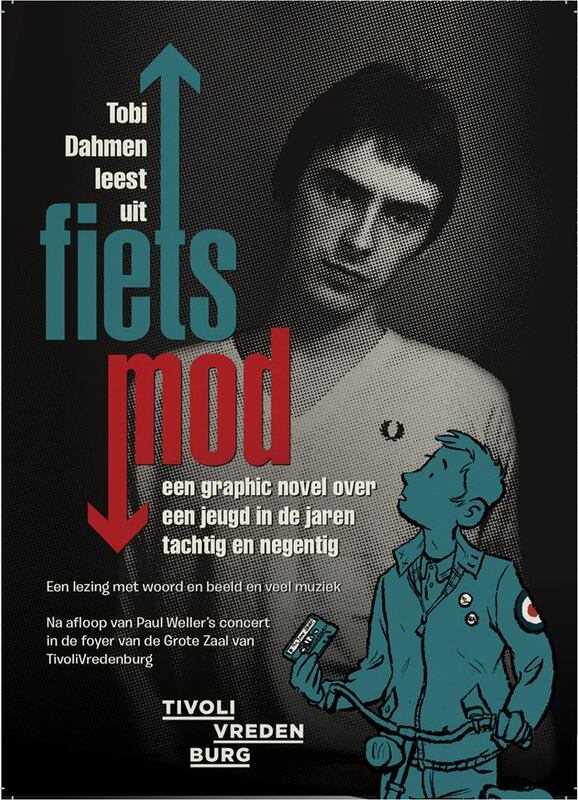 After Paul Weller's acoustic concert in Utrecht I did a live-reading in the foyer of the big hall of Tivoli. You can imagine I was a wee bit nervous. All gratitude to the people of Tivoli for making this happen and of course to Yves Vaillant who made this beauty of a flyer. Styleguide - Fietsmod in the Volkskrant. All images and designs are copyright protected. The copyright lies with Tobias Dahmen unless otherwise stated. Images may not be used, copied or reproduced in any way except with prior written permission of the copyright owner. Responsible for contents and design of this website is Tobias Dahmen. All contents and any expressed views of external sites are the responsability of their respective owners. This website was made by Dimitri Visser.